Collects UNBEATABLE SQUIRREL GIRL #1-4 and material from MARVEL SUPER-HEROES (1990) #8. Doctor Doom, Deadpool, even Thanos: There’s one hero who’s beaten them all - and now she’s starring in her own series! That’s right, it’s SQUIRREL GIRL! The nuttiest and most upbeat super hero in the world is starting college! And as if meeting her new roommate and getting to class on time isn’t hard enough, now she has to deal with Kraven the Hunter, too? At least her squirrel friend Tippy-Toe is on hand to help out. But what can one girl, and one squirrel, do when a hungry Galactus heads toward Earth? You’d be surprised! With time running out and Iron Man lending a helping hand (sort of), who will win in the battle between the Power Cosmic and the Power Chestnut? 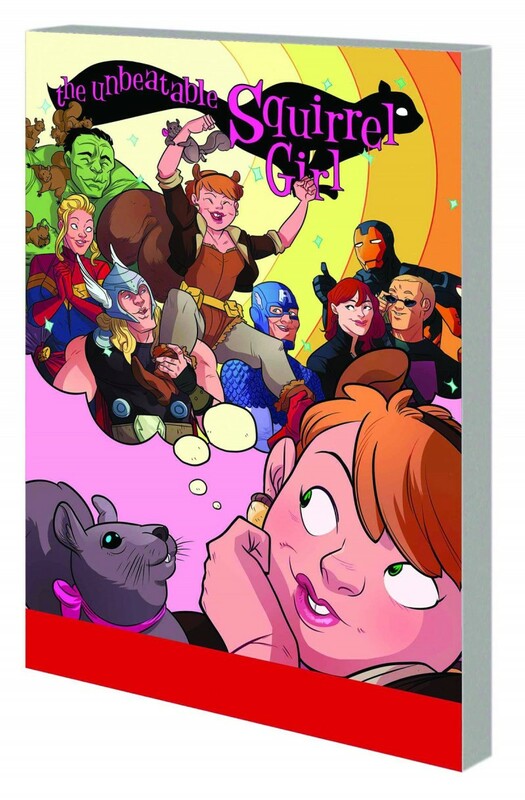 Plus: Squirrel Girl’s classic debut!